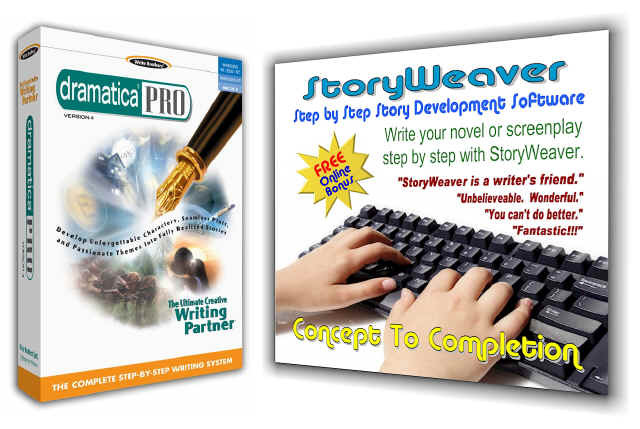 Can you say a few words about how Dramatica deals with Genre? To begin with, Dramatica divides the substance of "Story" into two parst: Story Structure, and Story Telling. When you read a story or see it in a theater as a movie, play, or even hear one as a song ballad, you are only seeing the Storytelling. You never see the Structure directly; it is only inferred. An audience infers Structure through the dynamic arrangement of symbols with which they are bombarded by an author. By sensing the patterns these symbols create, meaning is found behind them. This meaning represents logical arrangements, and emotional pathways. It is these arrangements and pathways that determine the nature of Characters, Plot, Theme, and Genre. So, each of these four aspects of story - Characters, Plot, Theme, and Genre, has an element of Story Structure and an element of Storytelling. As a result, one cannot fully describe or define any of the four without considering both elements. Still, the balance between the two elements is often not equal. Some Genres will be almost exclusively Structure, while others are almost completely Storytelling. For example, and Action movie is defined mostly by Structure, for it describes something of the nature of what is going on. In contrast, a Western is almost all Storytelling, for it is defined by where the story takes place, not what goes on or what it means. Looking at other Genres like Situation Comedy, Love Story, Romance, Science Fiction, Fantasy, and Horror (to name a few) we can sense that the balance between Structure and Storytelling is a bit different in each. There is one common perspective, however, in which we can evaluate and compare Genres on an even platform. And that is by dividing the Storytelling element into four categories: Information, Entertainment, Comedy, and Drama. The Structure can also be divided into four categories: Universe (situation), Physics (action or activity), Mind (attitude), and Psychology (manner of thinking). Now, as you know from other Dramatica theory, each of the four items, Universe, Physics, Mind, and Psychology represents a different "Class" of problem that will occur in a story. After all, Universe is a fixed external state, Physics is an external process, Mind is an internal state, Psychology and internal process. And, clearly, any problem we might identify in a story will be seen as either an internal or external state or process. Now, to provide perspective on each Class in a story, we couple each one with a different point of view. The four points of view are Main Character, Obstacle Character, Objective Story , and Subjective Story. I won’t go into definitions for these here, as it is beyond the scope of our immediate interests. Suffice it to say, that if a Main Character is a Physics character, he or she will remain a physics character throughout the story. Keeping that in mind, we can look back to the Genre Table and see that if a Main Character is in Physics, he or she still has a run of the Genre Table from Information through Drama, down the entire row. Now, we get into the explanation about mixing it up. The easiest way to assign positions on the Genre Table is simple to make sure that Main Character, Obstacle, Objective Story, and Subjective Story each fall in their own Class. Then, position them all in the same row so that they all fall into Comedy, or all fall into Drama. In this way, your story will have good breadth (because all four Classes are represented) but will have very little depth, because it is all Comedy, or all Drama. The first way to mix it up, is to move the Structural aspects of Main Character, Obstacle, etc., each into a different row, so that your Main Character is Comedic, but your Objective Story is Dramatic (Like many Marx Brothers movies). In this way, you increase your depth, and can create a number of interesting combinations, such as having Both Main and Obstacle Comedic, but the Objective Story Entertaining, and the Subjective Story Dramatic. So far, we have loosened things up a bit, but still not enough. The next step is to realize that the four Structural aspects don’t have to stay in the same Storytelling category (row) for the entire story. For example, a Main Character might begin in Entertainment, but end up in Drama by the end of the story. In fact, any of the four aspects might "move" through the table any number of times over the course of the story, touching on some or all of the rows. The key is that no aspect can move to another row without passing through the ones in between. Referring to the grid (on page 152 of the 3rd edition of the theory book, and also available online) a Main Character might start at Entertainment and end up in Drama, but not unless he or she has passed through Comedy first. In fact, the character could also arrive at Drama, by passing through Information instead, even though this would take them off the bottom of the Table and back up to the top (as published in the book). The reason is, that the Table is really more like a cylinder - the cardboard tube in a roll of paper towels. The Table really wraps around, connecting the top to the bottom; Information to Entertainment. This represents the flow of human emotions. We can all get to any emotion, but just as with the Seven Stages of Grief, or Freud’s Psycho-Sexual Stages, you can’t skip the in-between. If you do this, the audience will not be able to follow the story emotionally, and you will lose them - pull them out of the experience. They will suddenly become aware they are an audience to a story, and will examine what happens dispassionately. This was the mistake made by the Bruce Willis movie, "Hudson Hawk". They wanted to mix it up (comedy, thriller, action movie, musical!) but rather than wrapping around the Table, they jumped over in-between and lost the audience. If you haven’t seen it, rent the video just to see what I mean. Still, (and finally), there is one way to violate this rule to your advantage. If you skip a step, your audience will look to see if it is just a fork in the road. If it is, then you will effectively be telling your audience to "be of two minds" about what is happening. In other words, you are telling them to have mixed emotions about what they see. The way to make this work, is to make one and ONLY one skip-over, then start TWO lines of emotional presentation for the same throughline. For example, you might have the Objective Story be Informational, then jump to Comedy, but also continue the Informational line. The audience is now split in their emotional assessment of the Objective Story, and will experience mixed emotions until you bring both lines back to the same row, perhaps Drama, or any one you choose. When the flow of each of the split lines converges back to the same Storytelling aspect, the audience will wait one more scene to see if they are just crossing paths or really combining. To cross paths, each would next jump to different places, to combine, on the next move, they would move to the same place again. When you consider the four aspects of Structure, the four aspects of Storytelling, the ability to place different Classes in different Storytelling aspects (Comedy, Drama, etc. ), the ability to move around the Table with each Class independently, and the ability to split and recombine any or all of the Classes pathways, you end up with a highly complex, highly flexible, yet absolutely predictable method of creating the "Genre feel" of a story, all from one simple little 4x4 table.